Mr. Lewis received his Juris Doctor from Georgetown University Law Center. He is admitted to practice in New York and in the U.S. District Court for the Southern District of New York and the U.S. District Court for the Eastern District of New York. 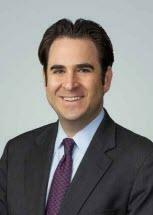 After honing his legal skills at various firms in the New York City area for more than 12 years, David started his private practice, focusing solely on bar applicant admissions, legal ethics, risk management and defense for Attorney Grievance Committee complaints Having served as both internal and external counsel to law firms and Fortune 500 companies, Mr. Lewis advises his clients on reducing risk exposure and avoiding malpractice suits and disciplinary complaints. However, should a client already be embroiled in a matter or litigation, Mr. Lewis will advocate aggressively on his client's behalf. Having served on the New York State Bar Association's Committee on Standards of Attorney Conduct, Mr. Lewis has remained at the forefront of the legal ethics field. Preferring prevention over litigation, he approaches each client's case with an open mind, always seeking viable alternatives that will be in his client's best interests. His dedication to his profession earned him a selection to the Super Lawyers' Rising Stars list and the Super Lawyers list as well as numerous other awards and accolades.